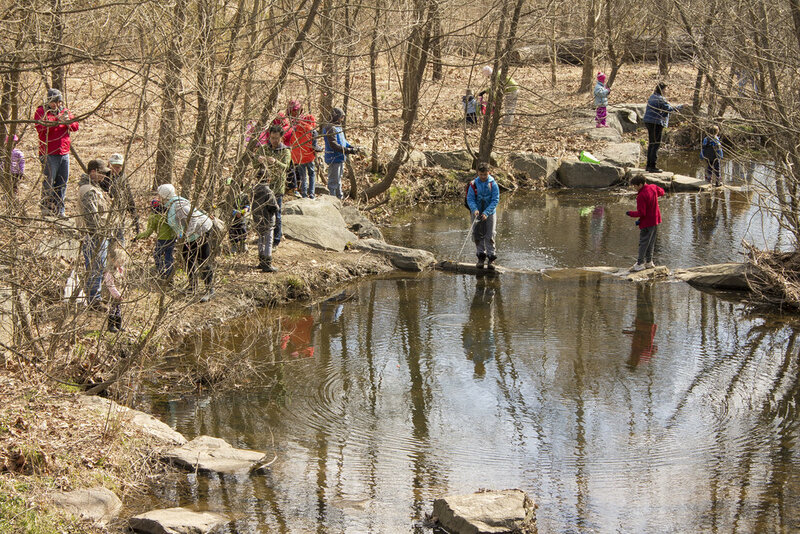 Reston Fishing Recap — Wetland Studies and Solutions, Inc.
WSSI stocked this part of Snakeden Branch with 750 fish the day before the event, which allowed the fish to acclimate and increased the chances they would be biting - important to help keep the kids engaged! 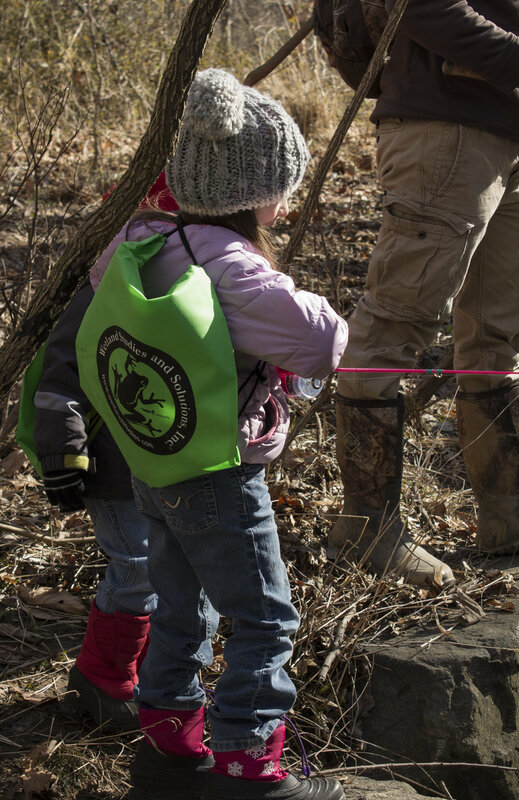 Despite chilly temperatures, the faces of kids, parents, and volunteers alike reflected excitement and appreciation as they spent the morning discovering a new pastime or sharing lifelong expertise – with many planning to return to the stream for another day of fishing and stream exploration. The day was a huge success! Thanks to our co-sponsors Reston Association, Friends of Reston, the Virginia Department of Game and Inland Fisheries, Northern Virginia Trout Unlimited, and the Wildlife Foundation of Virginia for their support!